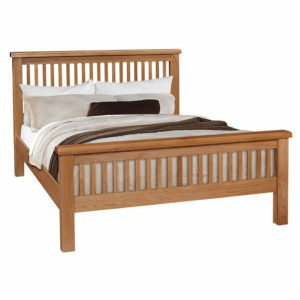 We also produce one of our Most Popular Home Care Beds (The Domiflex) in a version that is Especially Strong. The wide range of proven lying surface settings match those of the standard models so that patients who weigh more than average do not have to compromise on comfort with the Domiflex 185.Lying surface dimension: 90cm (3ft) x 200cm (6ft 6inches)Maximum person weight: 185 kg (29 Stone)Prices available on request. Featuring robust workmanship, the Kangbo 90 x 200cm Adolescent Care Bed is specially designed for young patients.Lying surface dimension: 90cm (3ft) x 200cm (6ft.6inch).Maximum person weight: 135kg (21.25 Stone).Prices available on request. 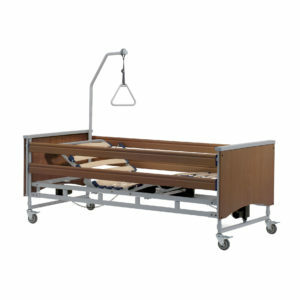 Robust premium nursing care bed for patients weighing up to 280 kg(44stone). Featuring an exceptionally robust lifting column mechanism and a sturdy, special lying surface, the Adilec 280 is equipped as a nursing care bed for extremely heavy patients weighing up to 280 kg. (44 stone).Sizes : 4ft, 4ft.6inch. (Prices on request).Extra length available up to 220 cm(7ft.2inches).Strong motors power the Four-Section adjustable lying surface function, while the highly stable, torsion-free side rails provide added safety. The robust lifting mechanism also guarantees stability at all times up to a care height of 81cm(32inches) − and total weight of 315 kg(49 Stone).Manufactured in Germany by Hermann Bock GmbH. The Strong Lifting Column mechanism of our Nursing Care Beds guarantee safety and stability in the Adilec 220 Nursing Care Bed, for particularly heavy patients weighing up to 220kg(34.63 Stone). Size Available : 100cm(39inches) x 200cm(6ft 6inches). Prices available on request. Alerta Budget Air Mattress , Alerta Ruby Air Mattress , Alerta Bariatric Air Mattress. Comfort Designed for Every Need(Now and Into the Future). .With the Combiflex fc comfort bed, Bock is making it possible for customers who demand the very best to enjoy the outstanding quality of our bed technology, even if they do NOT need care. 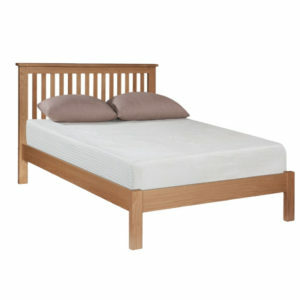 The Combiflex fc combines first-rate high-tech features with top-quality wood and elegant extras, such as head pieces with leather infill, for a relaxing night’s sleep and comfortable resting positions.Sizes : 3ft, 4ft, 4ft 6inch.Extra length to 7ft 2inches available.Prices available on request. With the Domiflex , a Robust Standard Nursing Care Bed, patients are guaranteed safe and comfortable home care, designed with comfort and safety in mind at an extremely affordable price. Lying surface dimension: 90cm(3ft) x 200cm(6ft.6inch). Maximum person weight: 135kg(21.25 Stone). Prices available on request.The Domiflex Nursing Care Bed is also available on Short Term Bed Rental.Other options of the Domiflex Care Bed include :Domiflex Low Low Classic Care Bed.Domiflex 185 kg Care Bed.Manufactured in Germany by Hermann Bock GmbH. No other Bed moves like the Hybrid Electric Adjustable Bed. 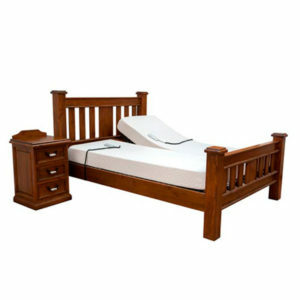 It provides the ultimate combination of comfort, support and positioning. Whether you want to lie down, sit up or lounge, you can make minor or major adjustments to improve circulation, respiration and digestion.Sizes available : 3Foot & 4Foot. 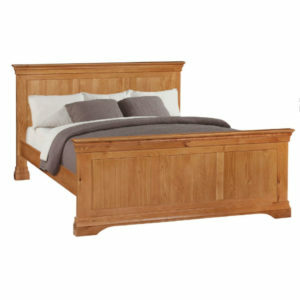 The Anna Wooden Electric Adjustable Bed is a very strong and substantial bed finished in a dark brown with black inserts. 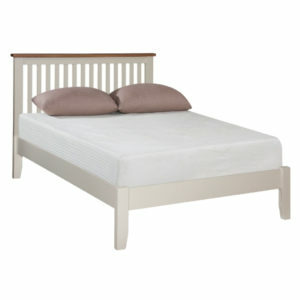 The bed frame features, a beautiful panelled headboard.The photo is of a Single Mechanism/Single Mattress (4foot 6inch) Anna Electric Adjustable Bed. 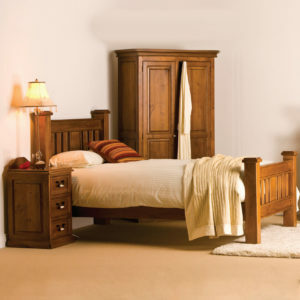 The 5 foot Anna is a Dual Bed, with 2 adjustable mechanisms, and 2 mattresses, for independent movement.Superb range of Bedroom Furniture available to complement the Anna Electric Adjustable Bed. 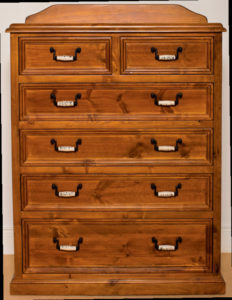 Slievaduff Mahogany 6-Drawer Tall Boy.Dimensions : 96(37.75") x 44.5(17.5") x 120(47.25"). 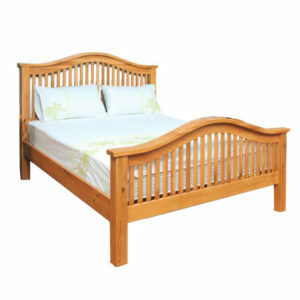 This classic German manufactured home care bed is designed with comfort and safety in mind at an extremely affordable price.